Sometimes random thoughts...they just show up outa nowhere. Seriously, that's my only explanation for this. 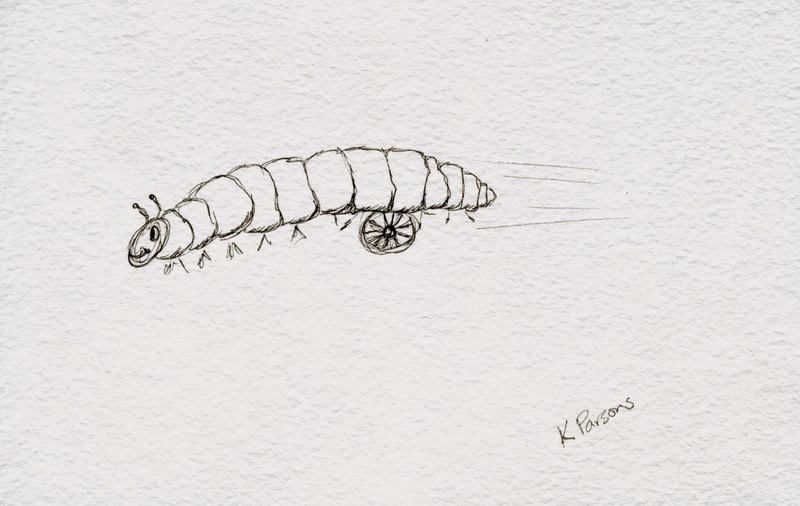 I was just sitting here wondering what happens to a roly poly if it loses the functioning of some of its many, many legs. Well, I thought, of course it would need to have a wheel to replace the troublesome limbs. And then it would be a rolling roly poly. Ya, I dunno, I didn't get much sleep last night...but I must admit I'm rather in love with this little dude!